Do you remember helping your mom cook? I certainly do - especially when it was time to do some baking. My responsibility was assembling the necessary ingredients. And, always, Adams Best vanilla extract was my favorite. Our cupboard contained other Adams extracts (almond, lemon, etc.) plus the requisite four-pack of food coloring. If you grew up in Texas, your kitchen cabinet probably contained a few Adams extracts, too. John Anderson Adams first sold extracts in 1888 while living in Michigan. In 1905, Adams moved his family to Texas. Back then, most people bought vanilla flavoring from pharmacies. A pharmacist himself, Adams vowed to develop a better-quality vanilla than the one his wife used. She baked a cake to test his formula. According to company history, she told him, "John, this is the BEST flavoring I have ever used." He replied, "Well, that's old man Adams BEST." A vanilla flavoring for the ages was born. At first, John A. Adams' two sons sold the double-strength extract door-to-door, backed by a money-back guarantee. 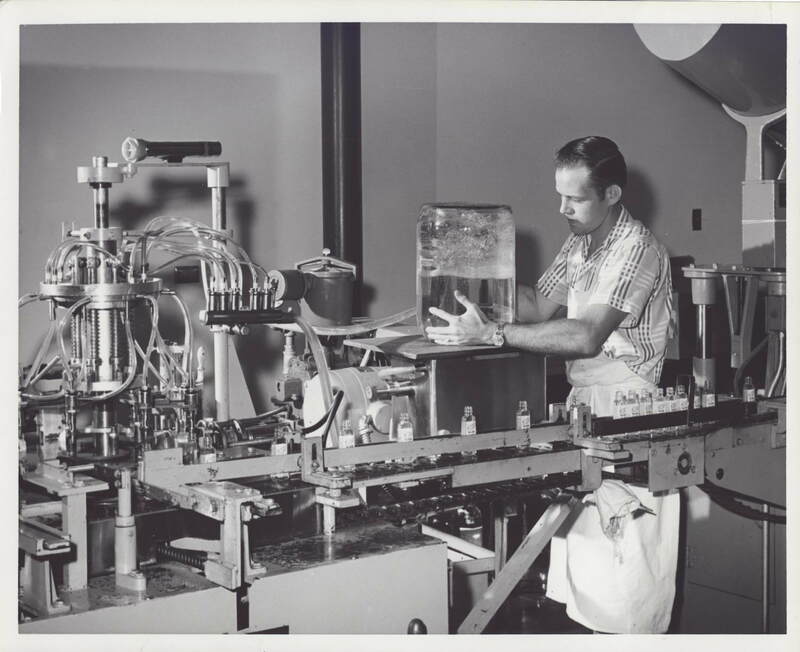 After WWII, the company expanded its operations, adding spices in the early 1960's. In 2002, Adams Extract & Spice LLC moved from the Austin area to a new facility in Gonzales (east of San Antonio). The company maintains that they single-handedly brought red velvet cake to the kitchens of America during the 1920's and 1930's, as they were the first to sell red food coloring. Chief Marketing Officer Sterling Crim told the San Antonio Express News, that the traditional recipe is based on one for Mahogany Cake, which turned a reddish color from the combination of cocoa and vinegar. "(The velvet in the name) refers to the texture or crumb." While today, the cake is often topped with cream cheese frosting, at that time it was topped with cooked white icing. Their product line includes over 100 extracts, spices, and food colors. Most grocery stores in Texas and throughout the United States carry Adams vanilla extract, and you can order it online at the end of the article. Although their No. 1 vanilla extract continues as their most popular seller, they have ventured into other profitable areas. Their lines of spices and rubs is a major part of their business. After decades of flavoring countless gallons of vanilla ice creams, the company moved into producing their own sweet frozen product in 2015. With Texas-based Blue Bell reeling from a devestating product recall which left grocery stores scrabling to fill shelf space, Adams unveiled three ice cream flavors - regular vanilla, chocolate chip cookie dough and pecan pie. Look for them at H-E-B stores in Central Texas. Offering extracts, spices, specialty foods and, now, ice cream made in Texas, Adams Extract continues to be a family affair. Cream shortening, sugar, and flavorings. Add egg and beat until smooth. In another bowl, sift flour, baking powder, and salt together and add to egg mixture alternately with drained pineapple. Fold in pecans and drop by teaspoons three inches apart on ungreased cookie sheet. Bake in moderate oven (350F degrees) for 15 or 20 minutes. Makes about 4 1/2 dozen cookies. This is a new twist on an old favorite. Preheat oven to 375F degrees. Peel, core, and slice apples. Mix Adams Best vanilla, Adams butter flavoring, and sugar. Blend in flour, Adams cinnamon, Adams nutmeg, and Adams allspice. Coat sliced apples with sugar mixture. In pan, melt butter. Blend in Adams Best vanilla, brown sugar, and pecans. Spread pecan mixture evenly in bottom of deep-dish pie pan. Place one piecrust over pecan mixture. Arrange apple slices over the first piecrust and top with second crust. Flute edges. Cut several slits in top crust. Place pan on foil or cookie sheet to guard against spillage. Bake at 375F degrees for 40 minutes, or until crust is golden brown and apples are tender. Remove from oven. Immediately place serving platter over pie and flip so that pecans are now on top. Carefully lift pan from crust. If any nuts remain in pan, remove them and place on the pie with a knife. Cool at least 1 hour before serving. Garnish if desired. Lightly grease and flour a 10-inch tube pan. Line the bottom with a circle of waxed paper to fit pan. Grease the waxed paper. Preheat oven to 325F degrees. Sift together the flour, baking powder, salt, and cocoa. Cream the butter at high speed for 3 minutes. Beat in sugar in three additions, beating well each time. Beat in eggs one at a time. Continue beating for at least 3 minutes after the last egg has been added. Blend in Adams Best vanilla, Adams butter flavoring, Adams peppermint extract, and Adams chocolate extract. Reduce speed to low, alternately add sifted dry ingredients in three additions with milk in two additions. Add sour cream and beat for 4 minutes on low speed. Carefully pour and scrape batter into tube pan. Shake and tap pan gently to level batter. Bake on the lower third-level rack for 75 to 90 minutes, or until wooden pick inserted in the center comes out clean. Allow to cool in pan for 5 minutes. Carefully invert on cooking rack and remove waxed paper. Allow to cool completely. These recipes - plus lots more - can be found on the Adams website at www.adamsextract.com.